The Elecro Nano koi pond heater is manufactured from top quality components and materials. Construction of Elecro Nano koi pond heater consists of a flow tube which is fitted with Inlet and Outlet mouldings manufactured from specially formulated polymer alloy material. The outlet moulding accommodates a reversible flow switch with a gold tipped reed, and Titanium fulcrum pin. The Elecro Nano koi pond heater is supported on two feet, this permits either vertical wall or floor mounting. The heater control components are positioned on the top face of the casing. Screw fit adapters are supplied to allow connection to standard above ground pool flexible pipe work. The water inlet and outlet fittings can facilitate connection to either metric or imperial standard pipe. 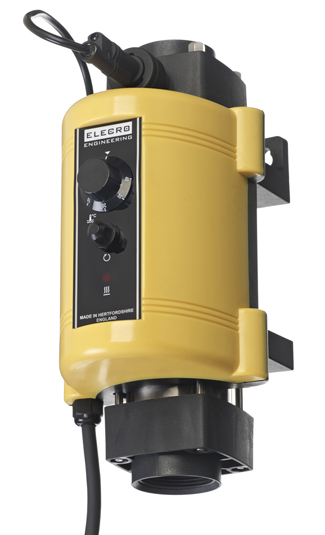 The desired pond temperature can be easily set on the Elecro Nano heater using the panel-mounted thermostat dial. Safety and equipment protection is provided by the highly reliable flow switch. Over-temperature protection is provided by the thermal cut out (manual reset). 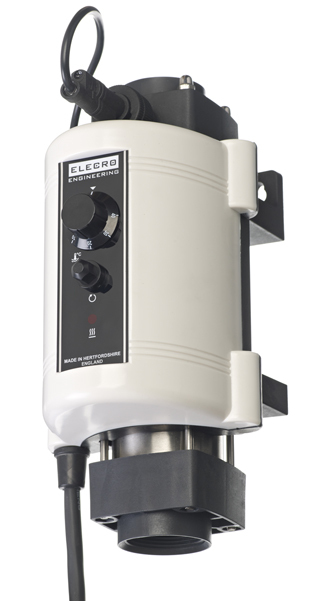 The Elecro Nano koi pond heater is supported on two feet, this permits either vertical wall or floor mounting. The heater control components are positioned on the top face of the casing. Screw fit adapters are supplied to allow connection to standard above ground pool flexible pipe work. The water inlet and outlet fittings can facilitate connection to either metric or imperial standard pipe. 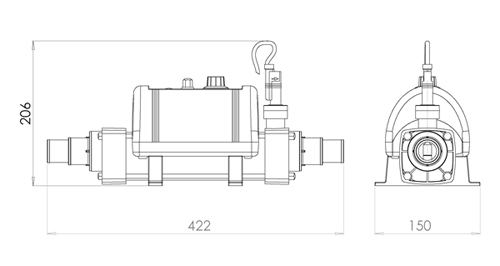 Safety and equipment protection is provided by the highly reliable flow switch. Over-temperature protection is provided by the thermal cut out (manual reset).